One of the highlights of my weekend was the successful treatment of an adorable puppy named Leeloo. She was hospitalized for nearly 72 hours, and thankfully fell into the percentage of dogs who survive the ingestion of this highly toxic plant: the sago palm. Sago palms are not really palms at all; they just look like one. 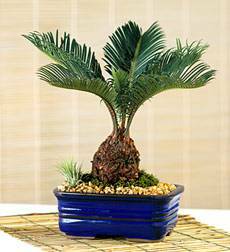 The sago palm is a cycad and contains the toxin cycasin. Contrary to popular belief, all parts of both male and female plants are toxic, with the seeds being the most lethal component. Even very young plants are toxic enough to cause death in pets. 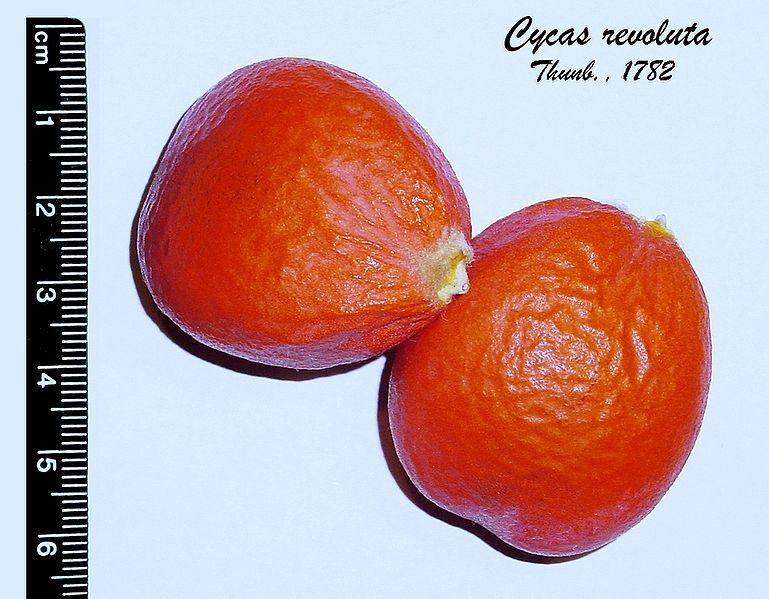 The seeds are oblong in shape, with a reddish-orange color, and are a little bigger than a golf ball in a mature plant. Many dogs seem to really enjoy chewing on these bitter seeds, which leads to nothing but trouble. I’ve even heard talk of people throwing the seeds like a ball for their dog, completely unaware of the deadly dangers! The characteristic seed pods of a sago palm. Like Leeloo’s family, many people are unaware that the plant is deadly. And even if they have heard of its toxic effects in passing, they often don’t realize that the plant they are purchasing is actually a sago palm. The plants are becoming increasingly popular in all areas of the country, and are commonly sold as potted plants in stores such as Target and Home Depot. They are simply labeled as a “palm tree,” without any warning label, and people are often not aware that they are bringing home a deadly plant. Over the past five years, the ASPCA Animal Poison Control Center has seen an increase in sago palm toxicities by 200 percent and according to their data, 50 to 75 percent of cases result in the death of the pet. This number includes pets who are euthanized due to the cost of care, and on a slightly brighter note, 68 percent of those pets that are treated early and aggressively, are reported to survive. Dogs who have ingested any part of the plant soon begin vomiting. This can be accompanied by signs of diarrhea, lethargy, and lack of appetite. Liver failure generally occurs within 24-36 hours following ingestion. In most cases, intensive treatment is necessary. If it has been 4-6 hours since ingestion, your veterinarian will attempt to induce vomiting, as well as giving charcoal to help absorb the toxin. Intravenous fluids for 72 hours, medications to help support liver function, and possibly transfusion of blood products are needed. 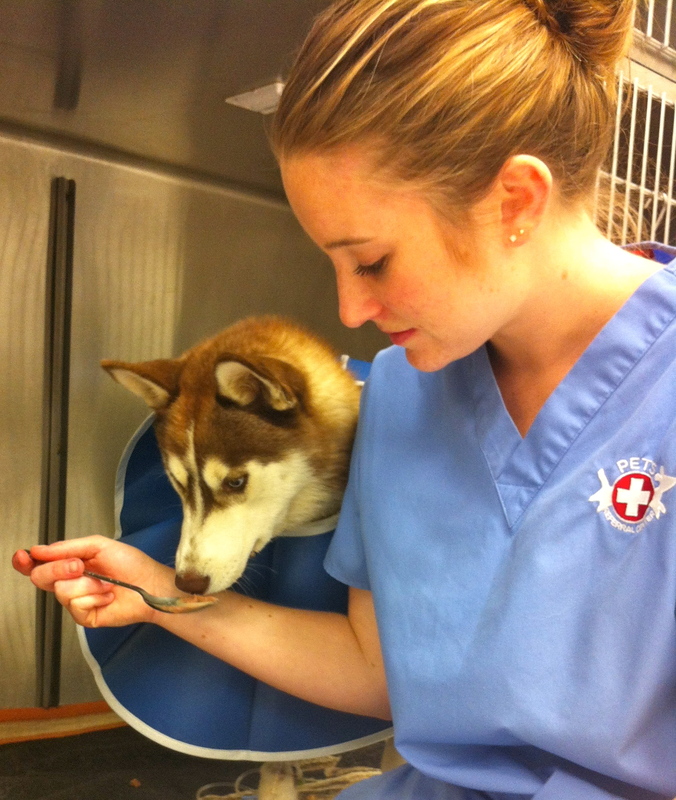 Frequent monitoring of liver values will help to determine if your pet will survive. LeeLoo was a lucky survivor and we were able to keep her from going into liver failure with early and intensive treatment. If you share your home or yard with a sago palm, now is the time to dig it up and dump it in the garbage. If you believe that a pet may have eaten any part of a sago palm, please seek veterinary care immediately. killer post title? I mean, I don’t wish to tell you how to run your blog, however suppose you added a post title that grabbed folk’s attention? I mean Lethal Landscaping: The Deadly Dangers of Sago Palms | PETS Referral Center is a little plain. You might glance at Yahoo’s home page and note how they create news headlines to get viewers to click. You might add a video or a related pic or two to grab people interested about what you’ve written. I’m glad to have shared some good information! And can I be so forward as to recommend you remove it completely? Even if you move it up higher, with the actual plant out of their reach, the seed pods can still fall to the ground… I’m afraid those “bright round things” would look like a toy that Alexia couldn’t resist, and it is the most toxic part of the plant. Thank you so much to everyone at PETS for your excellent care of Leeloo! We have been dog owners our whole lives and never realized this plant was so toxic. Siberian Huskies are very mischievous and love getting into things, but we never thought they could climb up and squeeze their way onto our deck to pull this plant right out of it’s pot. Thanks to your attention, Leeloo is back to normal and full of energy. Her litter mate Astra (who wasn’t harmed as much, but also ate some) is also very relived to have her back! Toni! I am so happy to hear little Leeloo is doing great and back to her puppy self! Thank you so much for the update and for posting your experience with her- it is amazing what mischief they can manage to get in to no matter how many precautions we take. A colleague of mine, after reading the blog, shared her story of a police dog in the peninsula that died a few months ago; the officer had the plant in his yard for 5 years and the dog never touched it once before until then. It is just so heartbreaking. Thank you for helping me to spread awareness and give Leeloo a big squeeze from all of us! She was hard not to fall in love with :). If you have one of these, DO NOT put it in the greenwaste container! I will then be ground up and scattered into mulch. spreading the toxins into future landscaping where more pets could be harmed. Click & Be Part Of Our Pet-Loving Community!